Handmade gifts are always the best gifts, especially when it comes to Father’s Day! 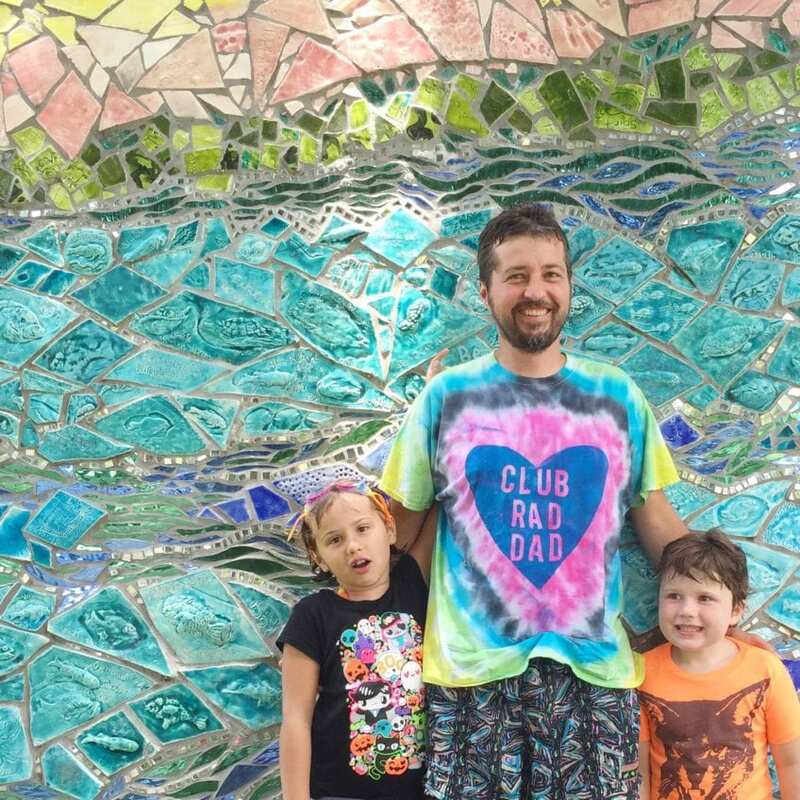 Club Rad Dad is an elite organization that only parents of extra craft kids can join. Actually, this shirt is so easy to make that you don’t have to have a crafty bone in you body. I started with a tie-dyed shirt, but plain will work too. I’m not going to get into the nuances of tie-dying because the package will have instructions. 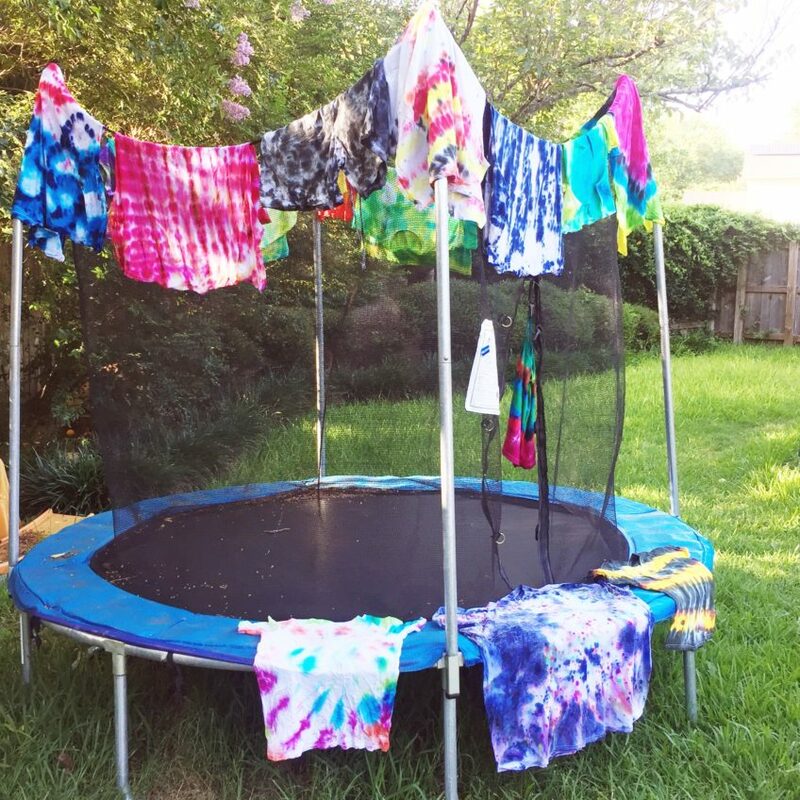 Something about summer always makes me want to tie-dye and the kids love it too. Using a paper bag as a stencil cut out a heart shape. 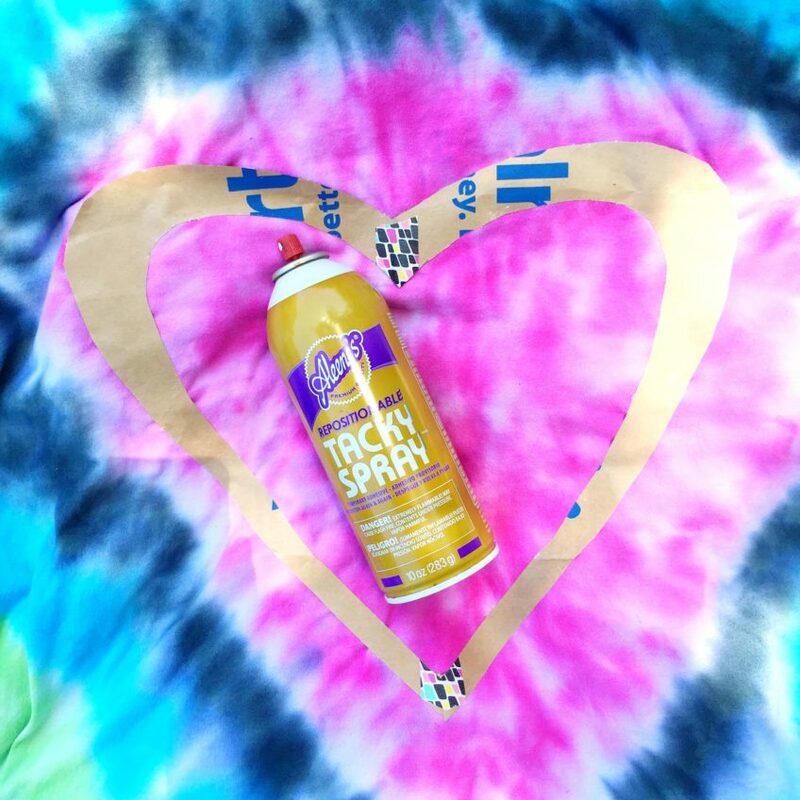 Use aerosol glue to attach the heart in the center. 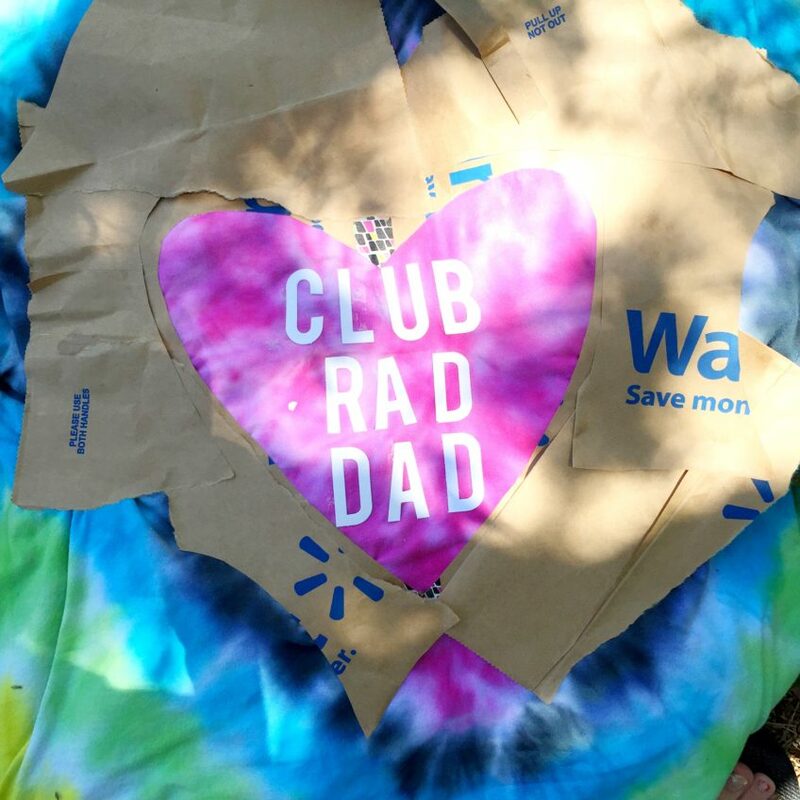 Using large sticker letters write the words ‘CLUB RAD DAD’. If you want to say something else like ‘WORLD’S OKEST DAD’ you can do that too. 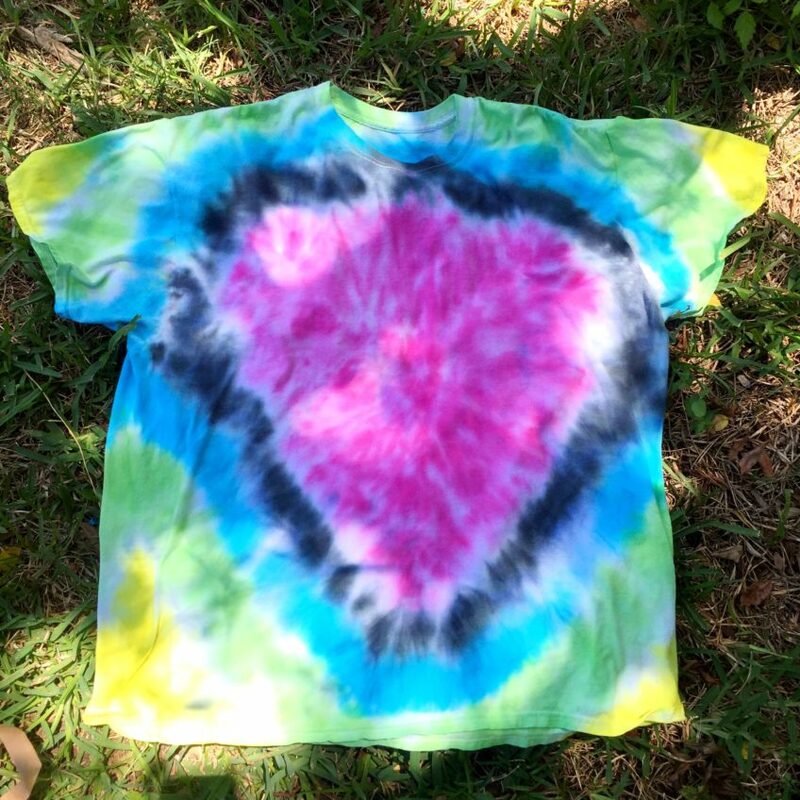 Using spray paint for fabric cover the heart shape in the center of the shirt. Adding extra paper around the edges of the heart may be necessary. Spray outside. Allow paint to dry and then peel off letters and heart stencil to reveal the design. 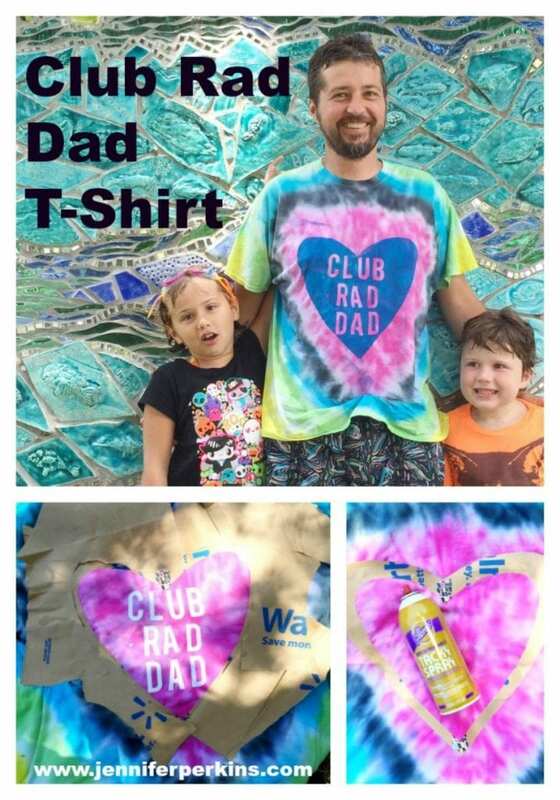 If your dad is a member of Club Rad Dad – say it loud and proud with this fun T-Shirt! 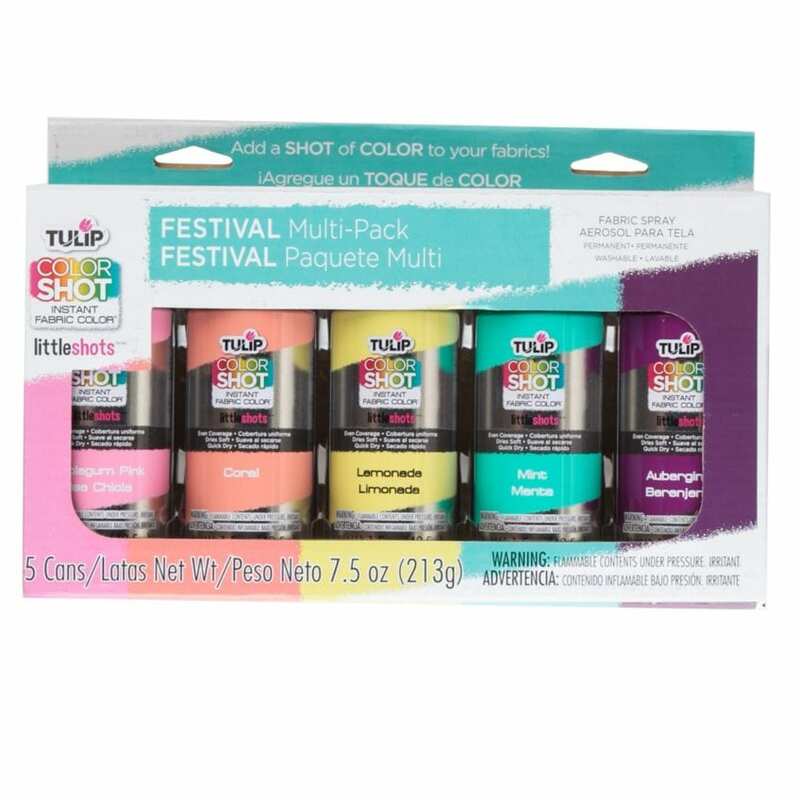 Need more ideas for dad? Keep on reading! 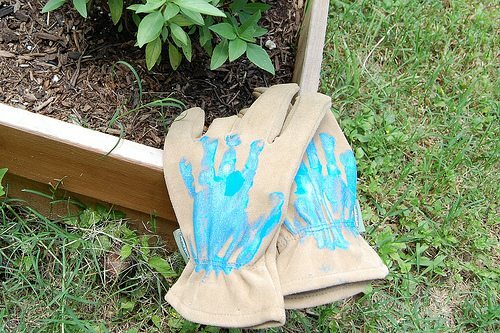 Helping Hands Gardening Gloves – Everyone loves a good kid’s handprint craft. Get the little helpers handprints on a pair of utility gloves. 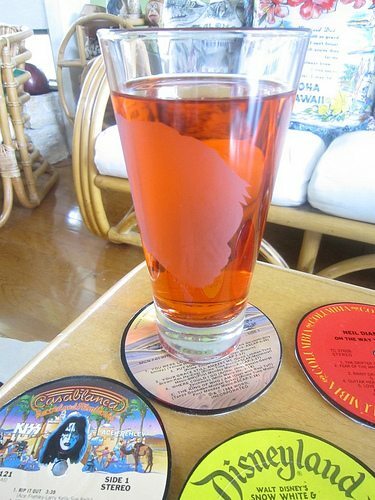 Silhouette Etched Beer Glasses – Etch kid heads, dogs, cats, even dad’s truck onto a set of beer glasses. Go ahead and try your hand at making vinyl record coasters too. 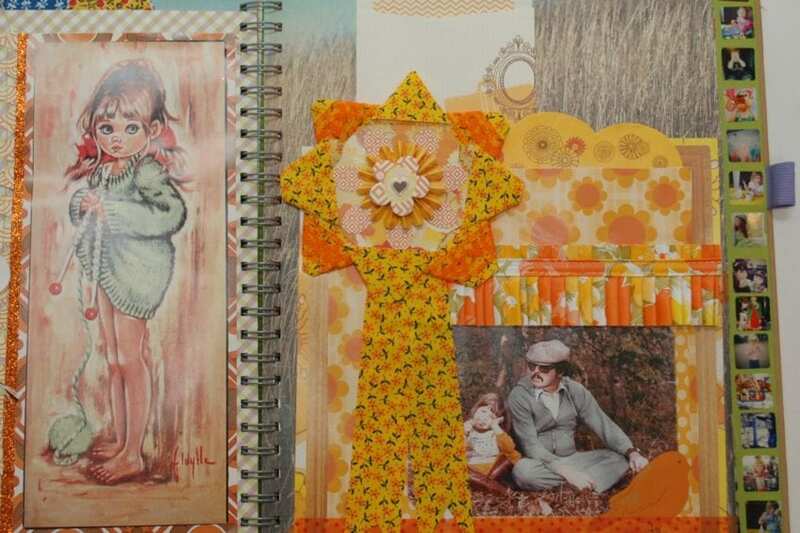 Father’s Day Scrapbooking – Did you know I scrapbook? It’s true. Here are some of my favorite pages about dad. Posted June 12, 2017 & filed under Crafts, Father's / Mother's Day, Holidays, Kids Crafts, Wearable Crafts.